Without a focused effort to drive up the number of doctors working in Wales the NHS could face the most difficult winter yet, Plaid Cymru’s Shadow Cabinet Secretary for Health Rhun ap Iorwerth has warned. Over the last three years, the number of GPs in Wales has fallen by around 30. Meanwhile, 97% of GP practices have reported a rise in demand for appointments. 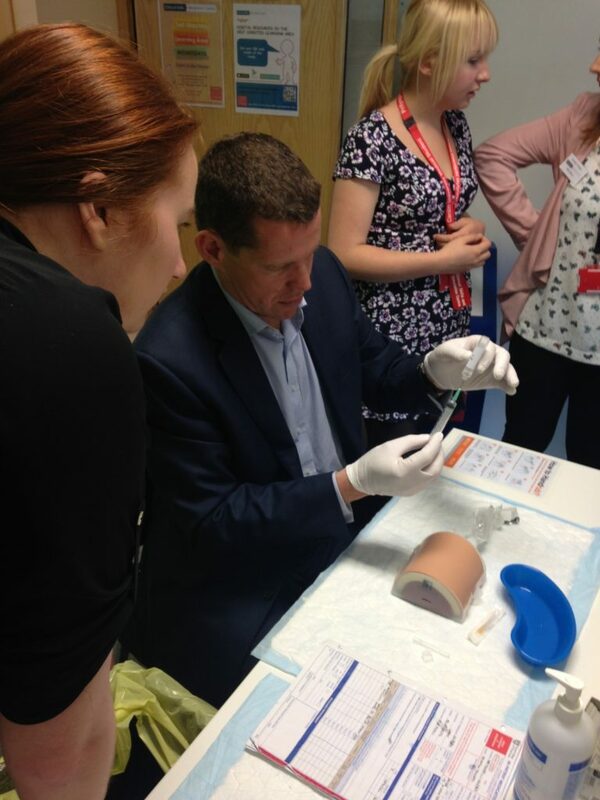 Rhun ap Iorwerth called on the government to implement Plaid Cymru’s plan to train and recruit a thousand extra doctors to the NHS, or else the service could face its most difficult winter to date. “Demand for health services is going up whilst the number of doctors we have is going down. Unless the Welsh Government acts quickly to increase the number of doctors, the NHS could be facing its most difficult winter to date. “Every winter, the demand for services peaks, but this year we are heading into the coldest part of the year with fewer GPs. The Welsh Government needs to come up with a plan quickly. “The Welsh Government tells us that it has more doctors than ever before working in the NHS, but we know that many of these are working part time. The number of GPs specifically has fallen and to deny this is to do a disservice to the whole NHS workforce that is being stretched to the limit to meet demands placed upon the rest of it because of our GP shortage.